I’ve finished the blocks for the 1st month of my 1st quilting bee, Pretty in Pink. These wonky stars are for Amy in Houston, and I’ve never made this block before. I think they came out really well, even though I had trouble matching up all the seams exactly. 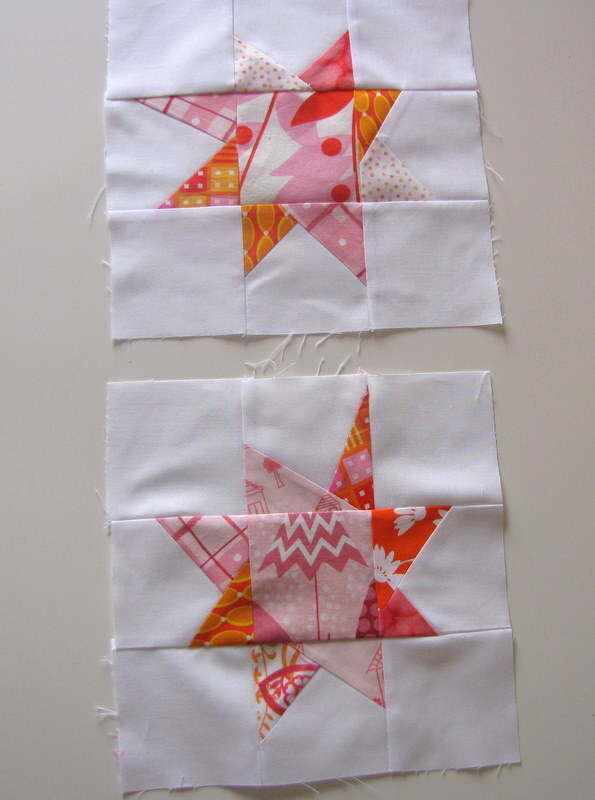 Amy sent everyone the link to this great wonky stars tutorial from The Silly BooDilly, but her blocks are 9.5″ square instead of 12.5″ square. 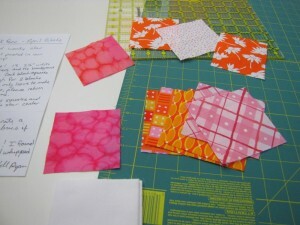 Amy sent some really cute pink and orange fabrics, and I mixed in a couple of fabrics from my stash, too. This was the 1st star I made, which came out at exactly the 9.5″ square Amy asked for. I used all of her fabrics except for the center square, where I added some of the pink fabric I bought from Heather Bailey’s Nicey Jane collection for Free Spirit. 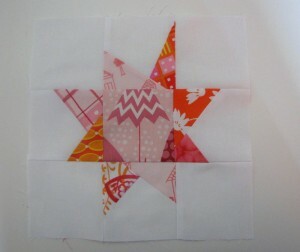 This was the 2nd wonky star I made, and I used some of my Riley Blake Rainy Days and Mondays for the center square. 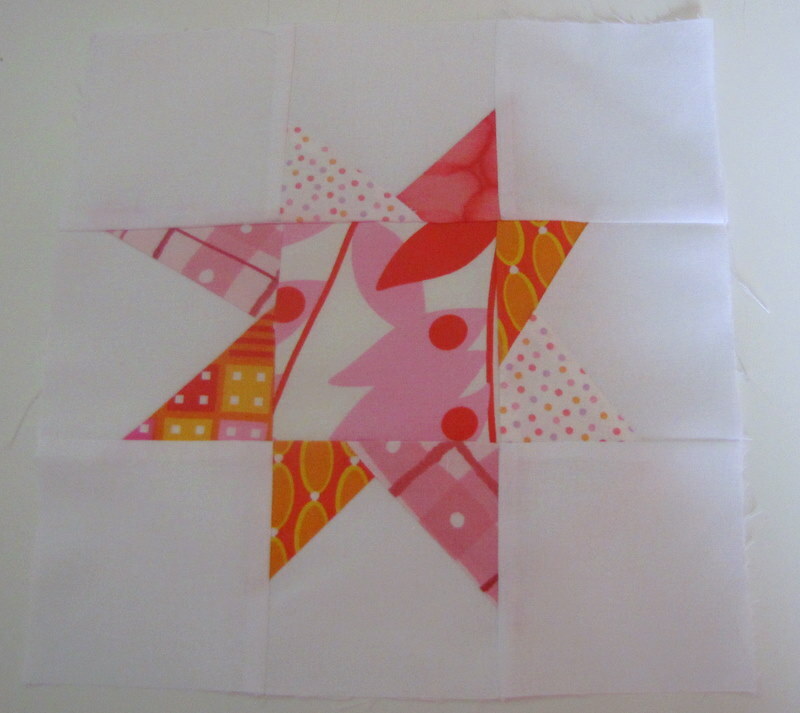 I also used some of the Little Pink Houses fabric I got from Petunia’s Textiles for the top and bottom star sections. I really like the look of this one, but it came out at 9.25″ on one side instead of 9.5″. But, I made 2 blocks so hopefully Amy will be able to pick and choose if she can only use 1.